We found a cute little Beatle book the other day. 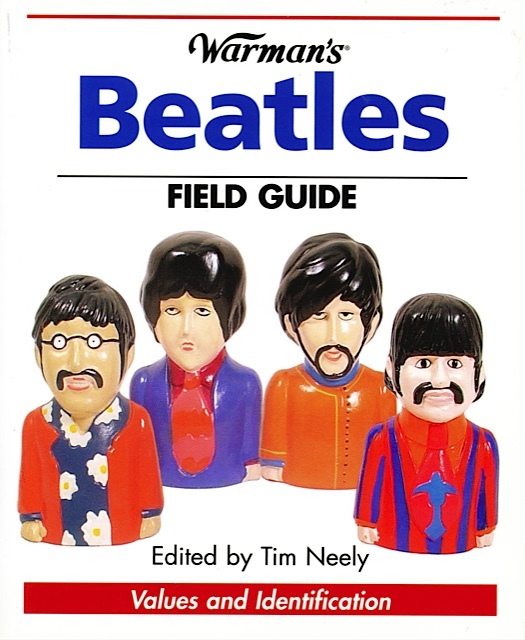 It’s called Warman’s Beatles Field Guide. 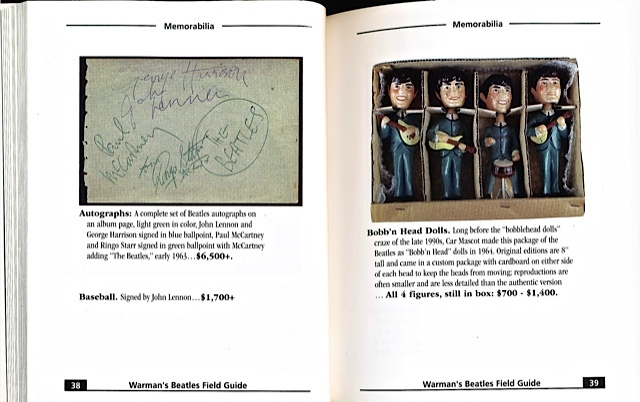 Published in 2005 it is a small (but thick at 512 pages), pocket-sized book listing prices and descriptions for a wide range of Beatle collectables. 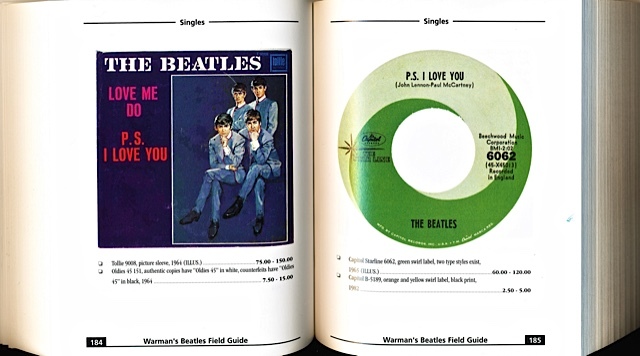 Inside you’ll find articles on “Why the Beatles Still Matter” and “Ranking the Beatles” as well as commentary and information on their post-break-up and solo careers. 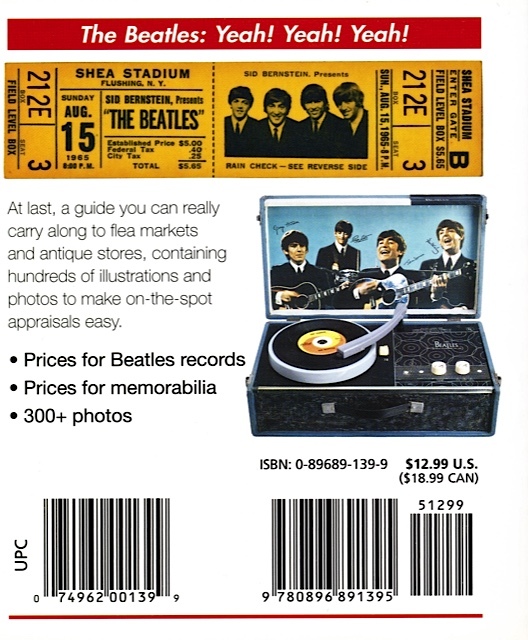 These sections are all based around the US releases only – but it’s a great ‘ready-reference’ style book with a huge number of photos, background information and examples for each of the entries. A really worthwhile little book to have. 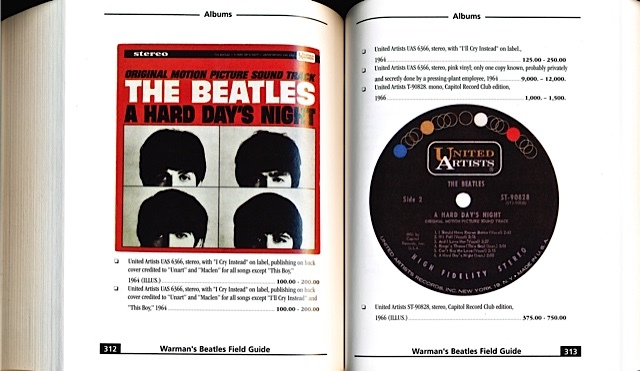 This entry was posted in Beatles, Beatles Books, Beatles Collecting, Beatles Music, Capitol Records and tagged Beatles, Beatles Books, Beatles Collecting, Beatles Field Guide, Music by beatlesblogger. Bookmark the permalink. Would be handy to take to car boot sales. It is the perfect book to take along when you are crate-digging!